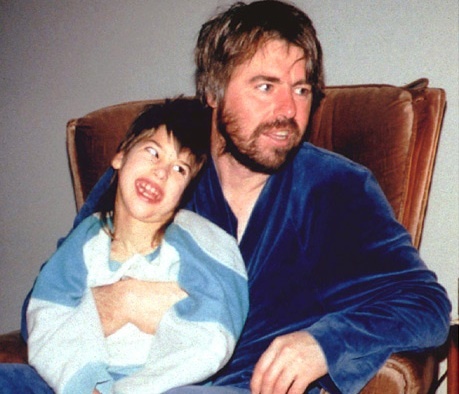 You may have not seen evidence that Robert Latimer seethed with resentment for his daughter but, as the title of the previous article states, there is a seething undercurrent of public and media resentment and prejudice in Canada toward the disabled. It’s often disguised in false yet noble sounding phrases such as “freedom of choice in dying” “death with dignity”and “mercy killing”, but the effect is always the same: Get rid of the sick and disabled. It’s interesting to note that in October 2011, Canada’s Parliament gave all Party support to developing a National Suicide Prevention Strategy, yet some MPs who supported it also support assisted suicide for the disabled. So let me get this straight: The healthy and able-bodied population deserve suicide prevention but the disabled deserve help to commit suicide. What other conclusion should a Canadian with a severe disability (like me) draw from this?! Anonymous says they could have put Tracy in an institution which would have amounted to a slow death for her. Sounds terrible, but is it a true reflection of Tracy Latimer’s life? No. If Anonymous took the time to read the court transcripts rather than rely on the Globe and Mail newspaper or some other liberal media outlets, she would know that Tracy did not need institutionalizing and there were plans in the opposite direction of institutionalizing her. The idea that the sum total of Tracy Latimer’s life was misery and pain was inaccurate. Even when Robert Latimer’s wife (Laura) tried to portray Tracey’s life that way to protect her husband and support the defense strategy to fixate on Tracy’s disability and pain, the Prosecution was able to get her to grudgingly admit that Tracy had good times. Laura told court that Tracy’s last surgery left her utterly miserable. She said: “Tracy was in a lot of pain. Tracy was miserable. She used to be a happy little girl, and she turned into someone who just sat slumped, just waited to be moved. She was — she was very unhappy.” The image of Tracy painted at the trial, and reported by the media, was untrue and this was revealed numerous times during the court proceedings. Apparently Anonymous has not done such research or she would not put forth the assertion that Tracy’s parents could have put her in an institution … at least I hope she would not. Even so, an institution is far better than a grave. Millions of people with disabilities have had misery in their lives. Many live alone, unloved and sometimes in pain. Sadly, that has been the reality for people with disabilities throughout history. But being miserable is not a reason to kill us. If misery were a reason for death, then who among us would be safe?! It would create an open season on the disabled. The answer is not to kill us in a flimsy excuse for stopping misery or to bestow so-called death with dignity. The answer lies elsewhere: it lies in proper pain management, and seeking life with dignity and inclusion — especially for those who do not have it. Robert Latimer did not behave like a good father. A good father does not murder his child. If he did the right thing — as he still maintains — why did he lie to police and attempt to destroy evidence? Why did he maintain Tracy died in her sleep (until evidence showed otherwise) rather than admit right away that he put Tracy in his truck and piped exhaust fumes into the cab? Own up to it and take the consequences — if, in fact he did the right thing. The fact remains that it was not the right thing. If Robert Latimer murdered one of his healthy children he would have been condemned in the eyes of the Canadian public. But he murdered his disabled child and became a folk-hero. Let me contrast Robert Latimer’s crime with another that occurred a year later. 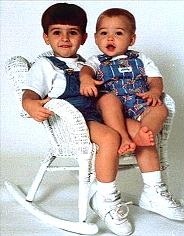 American Susan Smith put her car into a South Carolina lake, drowning her two little boys, Michael and Alex. Why was Susan Smith universally reviled for killing her children while Robert Latimer became a folk-hero after killing his child? I don’t think so. That’s a reason I said Canada has a seething prejudice against the disabled — and that prejudice extends to children. God forgive us.